BARACK OBAMA IN THE WHITEHOUSE: Donald Trump vs. Barack Obama in 2012? Is that a joke!!! Donald Trump vs. Barack Obama in 2012? Is that a joke!!! 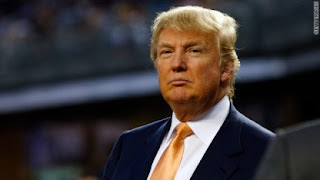 Today, there was a CNN report called "TRENDING: Trump 'really thinking' about prez bid by CNN Ticker Producer Alexander Mooney, stating that Donald Trump, the "business tycoon and perennial publicity hound" has stated that he is thinking about running against President Obama in 2012. In the same breathe, he states that he is not really interested in being President. But, he believes that he can do things better, especially from a business prospective. Yes, Mr. Trump is a great business man, but if you ever watched his reality show you will understand that he is a ruthless man. On TV, he embarasses and belittles people, and at the same time, praises others. As you can tell by reading my articles here, I'm not a TV or radio reporter, as I just report them as I see them, from my prospective, and up front it should already be known that I support the President. It is no secret that the country is in trouble regarding the economy, but it is rebounding back. The housing market is still in terrible shape, and it allows tycoons like Donald Trump to take advantage of the market and to take advantage of people. With the money he has, he can do just about anything within the law, and given his outreach, who knows what else he does. He is not the every day citizen. He is a man that President Obama would like to raise taxes on, as he is truly classified as the "filthy rich". As he states, "For the first time really would think about it. And I am thinking about it. It doesn't mean I want to do it. I'd prefer not doing it. I'm having a lot of fun doing what I'm doing. It's a great time to be buying things. I'm buying a lot of things and really having a good time," Trump told Joy Behar Wednesday on HLN. CNN's sister network as reported by CNN Ticker Producer Alexander Mooney. Mr Trump is quick to criticize the President for not securing a bid for the 2016 Summer Olympics for Chicago. Personally, I believe that the city of choice for the Summer Olympics were already chosen. President Obama represented America at the meetings in Copenhagen, and it just goes to show you that the President, quoted as being "the most powerful man in the world" could not get Chicago to secure the win for the Olympic City. Maybe Mr. Trump just doesn't understand the Olympics process in choosing a city. 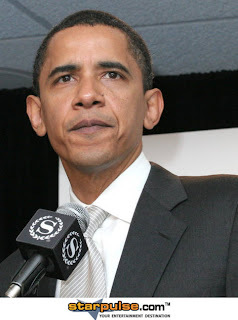 President Obama represented the United States, not just Chicago, at the meetings in Copenhagen a year ago when it was reported that he "failed last-minute bid to secure the 2016 summer Olympics for Chicago" as reported by CNN. I believe that the President of the United States knew his chances when going into the meetings, and it was a last minute bid. He was just elected President, and didn't have time devoting all of his time to the Olympics. After all, he had acquired a monumental task of cleaning up things after President George W. Bush left office. Donald Trump believes that other countries are not respecting the United States as he states "That shouldn't be happening to this country. People are not respecting us. They are not respecting this country. And I hate to see it" as reported by CNN. Is he talking about the talaban, or the terrorists around the world. Why should they, or why would they support the President. If President Obama did such a bad job in just his first year in office of the United States and people of the world do not respect President Obama, then why did he win the Nobel Peace Prize in less than one year in office? Donald Trump will NEVER win the Nobel Peace Prize. It's not about the people when it comes to talking about Donald Trump. It is about him. It is about his money, his property, and his business skills, that frankly could only support the rich. I sincerely believe that Donald Trump doesn't have an ounce of blood in him to help middle class or poor class Americans. If Donald Trump runs against President Obama, Americans will see right through him, his money and his outragous pesonality to realize that Donald Trump could never be the man to represent the United States to the world. Truely, I beleive that Donald Trump is power hungary. He has everything tangable he wants, which happens to be what most Americans do not have. He can buy anything, sell anything and has proven himself in business deals time and time again. But now he is thinking about becoming President? Give me a break here. All I can see here is jealosy. The presidency is the one job in the world that his money cannot buy. Money buys allot of things, as you can ask Mr. Trump himself, but money alone will not buy the Presidency of the United States.